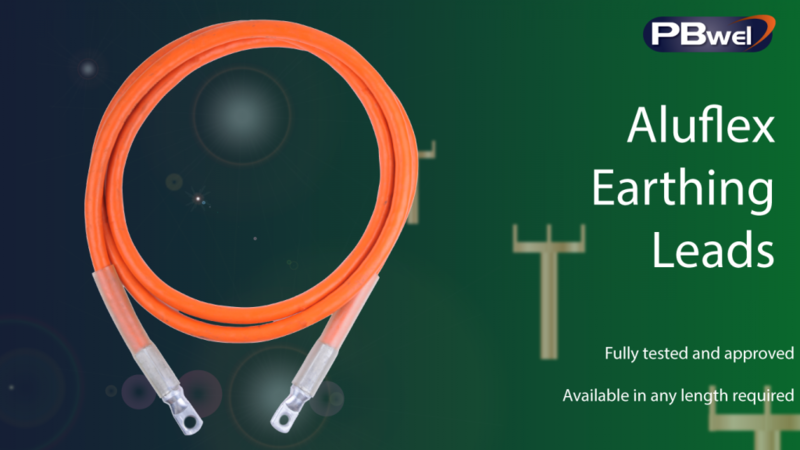 Aluflex leads from PBwel are produced from multi-stranded, commercially pure aluminum with an extruded pvc sheath, either in clear or opaque ‘arctic ’orange grade to protect the cable from damage. Flexible aluminum earth leads with fully-tested and fault-rated compression terminations and support sleeves are used for interconnecting conductor clamps and to various earth points. The standard nominal cross section is of 50 or 120 sq.mm and is recommended according to the fault level of the system. Aluflex leads are also available in blue or green colored pvc sheaths. P&B Weir Electrical Ltd also have available captive velcro fasteners for cable storage in 3 lengths: 220mm, 350mm and 500mm. Earth leads can also be provided from flexible multi-stranded copper 25, 35, 50, 70 and 95 sq.mm as an alternative to aluminum leads.